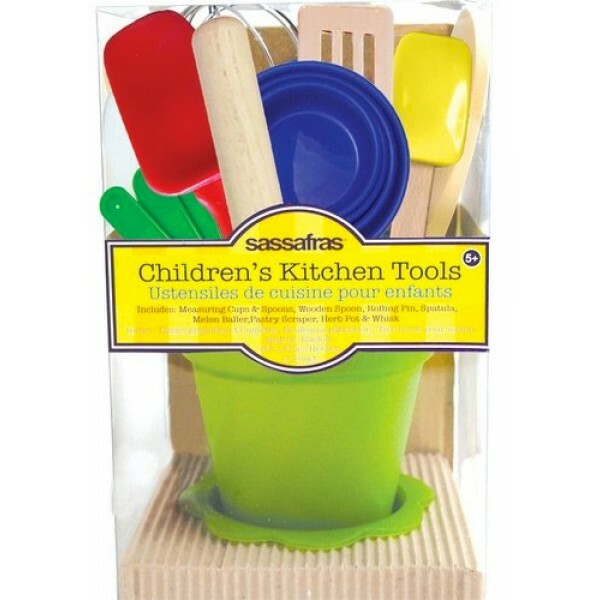 Sassafras' Little Cook Kid's Kitchen Tool Kit contains real kitchen tools sized for children's hands. 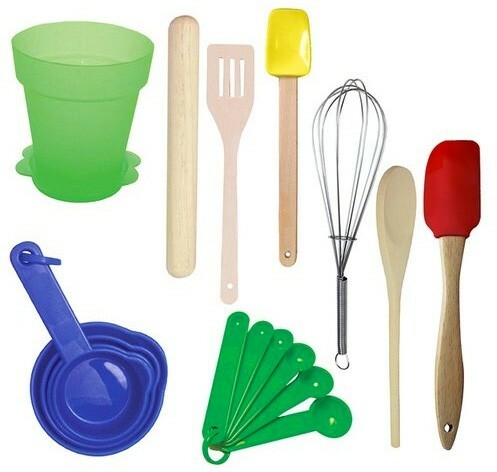 Set includes a whisk, rolling pin, spatula, wooden spoon, pastry scraper, measuring cups, measuring spoons, melon baller and herb pot. 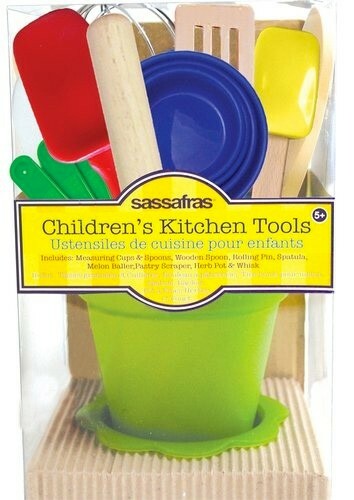 Let them learn measuring concepts and life skills as they work alongside Mom and Dad in the kitchen.